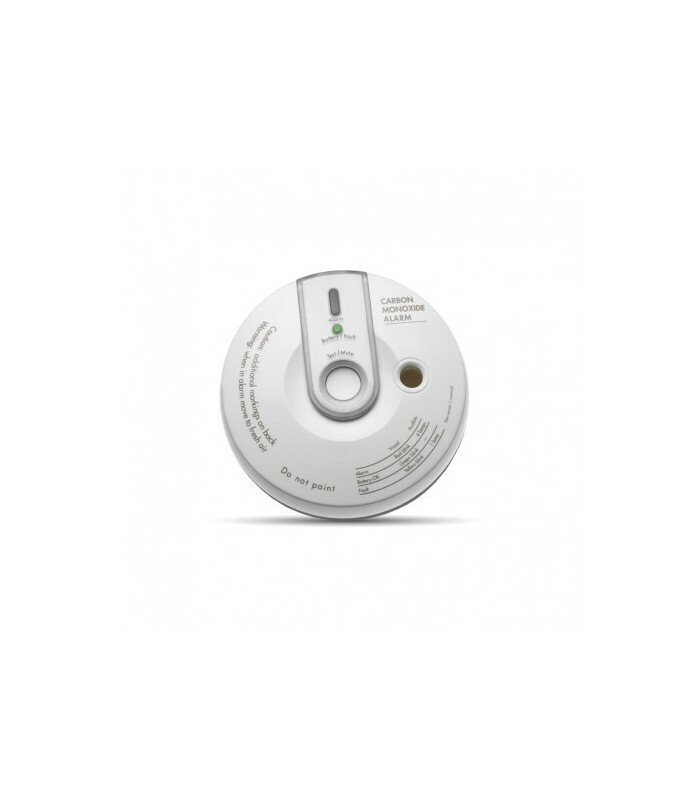 The Wireless PowerG Two-way Carbon Monoxide (CO) Detector is designed to monitor the CO gas level in residential dwellings and give early warning before potentially dangerous levels exist. The CO alarm is transmitted to the PowerMaster control panel and presented on its display. The CO gas is considered to be a highly dangerous poisonous gas because it is colorless, odorless, tasteless and very toxic. Presence of CO gas inhibits the blood's capacity to transport oxygen throughout the body, which can eventually lead to brain damage. CO gas is produced by incomplete combustion of fuels (such as natural gas, propane, heating oil, kerosene, coal, charcoal, gasoline or wood) that can occur in any device that depends on burning for energy and heat (such as furnaces, boilers, room heaters, hot water heaters, stoves, grills and in any gasoline powered vehicle or engine). restarts alarm if the CO level remains high. The detector provides low battery and detector end-of-life indications. detector should not be used - do not wait for end-of-life indication! !